U2 News » "Love to the people at Hansa Studios last night"
"Love to the people at Hansa Studios last night"
"Love to the people at Hansa Studios last night" sagte Bono nach One beim Konzert im Berliner Olympiastadion und gab damit der U2tour.de Party am Vorabend den ultimativen Ritterschlag (zum Download). Aber auch ansonsten war die Party sowohl für uns als Veranstalter als auch für alle anwesenden U2 Fans ein riesiger Erfolg und vorallem ein grandioses Fest. Insgesamt konnten wir im Laufe des Abends ca. 750 Fans aus Deutschland, Österreich, Schweiz, Finnland, Großbritannien, Holland, Irland, Polen, Russland, Spanien, USA und Südamerika begrüssen. Zunächst rockte eine U2-All-Star-Tribute-Band (mit Bandmitgliedern von Elevated und Lovetown, sowie zum Abschluss mit dem Bono von Achtung Baby) den legendären Meistersaal bevor dann mehrere DJs mit U2 Musik und U2 Videos die Fans in den einzelnen Räumen begeisterten. Zudem konnten die Bilder von Thierry Noir bewundert werden. Außerdem konnten wir mit vollem Stolz einen Scheck über 2.600 Euro an die Organisation "Make Poverty History" überreichen. Im Anschluss wurden in einer großen Tombola Dutzende Preise verlost, u.a. ein iPod U2 Special Edition. Danach wurde in den Hansa Studios kräftig weitergefeiert und zur Überraschung vieler tauchte auf einmal die U2 Vorband The Killers auf und mischte sich unters Party-Volk. Die Party endete schließlich um kurz nach 4 Uhr morgens. Und wer nicht dabei sein konnte, den hielt der Radiosender radioeins mit Liveschaltungen auf dem Laufenden. Weitere Eindrücke von der Party findet Ihr in unserem U2-Forum. Fotos von der Party gibt es hier (klicken). "Love to the people at Hansa Studios last night" (mp3, 229kB) ENGLISH VERSION: "Love to the people at Hansa Studios last night" said Bono after One during the concert at Berlins Olympic Stadium and with this honoured the U2tour.de Party the day before the show. Despite this the party was for the organisers as well as for those fans who attended it a major success and above all a fantastic happening. Altogether we could welcome approx. 750 fans from Germany, Austria, Switzerland, Finland, Great Britain, Holland, Ireland, Poland, Russia, Spain, USA and South America. It started off with an U2-All-Star-Tribute-Band (consisting of members of Elevated and Lovetown, as well as Bono from Achtung Baby) in the legendary Meistersaal before several DJs entertained the fans with U2 music and U2 videos in the different rooms. Furthermore one could have a look at the pictures painted by Thierry Noir. We were also in the position to give a cheque with the sum of 2.600 Euro to "Make Poverty History". Later on we had our amazing U2 raffle with loads of prices including an iPod U2 Special Edition. Afterwards people partied heavily in the former Hansa Studios and were suprised by the sudden appearance of U2s support act The Killers who passed by for a couple of beers. The party finally ended at 4 am, leaving hundreds of happy fans behind. And those who couldn't attend the party were informed by the radio station radioeins who had a couple of livetransmissions from the party. 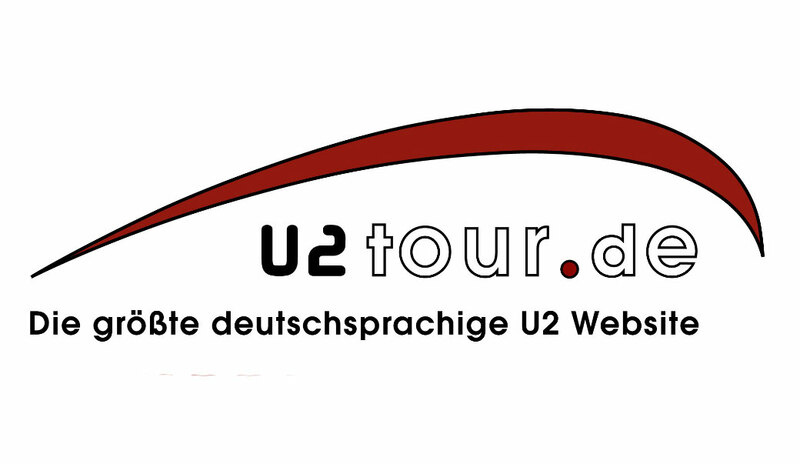 Further impressions can be found in our U2-Forum. Photos of the party are available here (click).